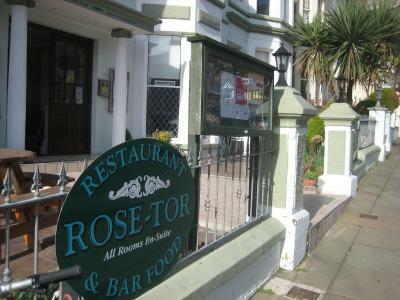 Lock in a great price for Rose Tor Hotel – rated 8.6 by recent guests! Breakfast was great. The bed was comfortable great pillows. Staff very attentive. 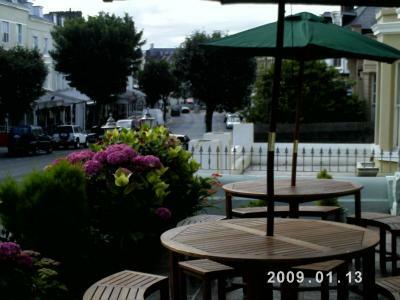 Excellent location close to shops and the seafront. David, the owner was extremely helpful with places to visit and directions. Would highly recommend this property! Stayed here friday and saturday night,on the top floor thats a lot of stairs.Noise from the bars across the road till late.The shower didn't work properly red hot. Located in an area easy to find and near a variety of restaurants and bars and close to the pier and tour transport. The staff were very friendly and even gave us advice when our car broke down. We spend a lovely weekend at Rose Tor.It was a fine little hotel with beautiful, made to measure breakfasts!They were piping hot and very tasty indeed, especially the vegetarian sausages!The room was very comfortable and warm and we had clean towels every day.Rose Tor is in a super situation for all Llandudno has to offer.This hotel offers excellent value for money. Location and our room very comfortable friendly staff.i would definitely recommend this hotel. Will definitely be comeing back 👌. Everything about the hotel is very good dave the owner /chef was very welcoming. And his staff could not do enough for you. The breakfast was very good with plenty of choice. Rose Tor Hotel This rating is a reflection of how the property compares to the industry standard when it comes to price, facilities and services available. It's based on a self-evaluation by the property. Use this rating to help choose your stay! This beautiful Victorian town house enjoys an enviable location in Llandudno, also known as the Queen of Welsh Resorts. 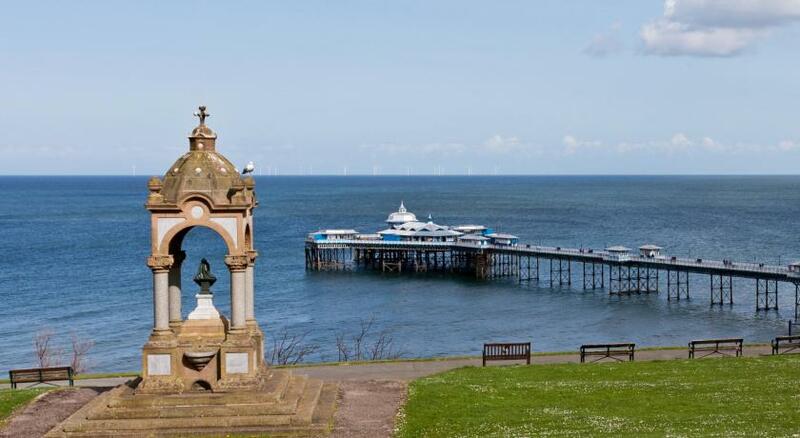 The hotel, a tasteful conversion of 3 elegant town houses, is located in the town center, close to all of the major amenities and attractions, such as the promenade, the pier and the Great Orme. The tastefully furnished en suite accommodations includes romantic deluxe rooms with 4-poster beds, as well as family rooms. The hotel also now offers free Wi-Fi wireless internet access. With comfortable en suite accommodations and a great location, the Rose Tor Hotel offers a convenient base for exploring the North Wales region and its many attractions. 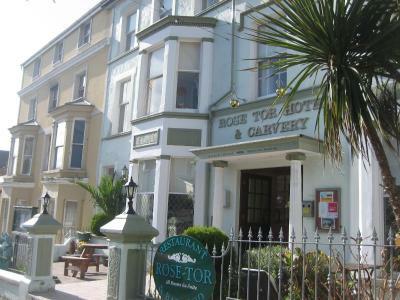 When would you like to stay at Rose Tor Hotel? House Rules Rose Tor Hotel takes special requests – add in the next step! Rose Tor Hotel accepts these cards and reserves the right to temporarily hold an amount prior to arrival. The hotel has a no smoking policy. The bar wasn’t open. If it had been we would have stayed to have drinks there. We had to go home! Nothing.there is nothing at all bad to stay about the rosetor hotel. Except that if you have trouble walking the are a lot of stairs. Comfortable clean and friendly, breakfast best we’ve ever had! WIFI only worked in reception area. TV was a bit small. Good breakfast choice. Service was quick and friendly. Excellent clean hotel very friendly staff excellent breakfast and choice very good value for money. Parking is an issue as you can only park outside the hotel for 90mins before you have to locate a 24hr car park which adds an additional cost to the holiday. Proprietor is a genuinely down to earth lovely man. He made us feel very welcome, like you were visiting an old friend. The hotel is in a great location for the pier, cable car, town centre and for a drive around the Great Orme. Would definately return again.